The landscape and mystery of the bogs feature prominently in Irish myth and folklore. The archaeological record speaks of votive offerings and buried bodies, laid to rest deep beneath their murky, otherworldly waters. As I drove to the conference on Friday I passed through bogs in Offaly and Roscommon. Desolate, windy places; they practically howl a primal language. of mud pads and dirtied eggs. Irish poet Seamus Heaney writes a lot about bogs. 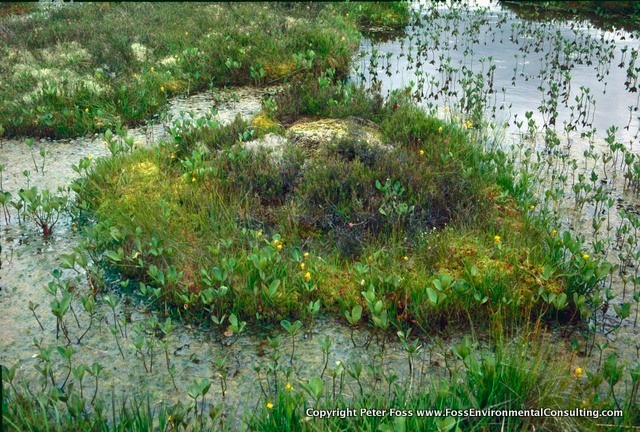 He has referred to the bog as a sort of Jungian, as well as geological, memory-bank, a “dark casket where we have found many of the clues to our past and to our cultural identity” (Broadbridge, 1977: 40). He sees the bog as a symbol of the Irish psyche, as contrasted to the American psyche which, in its pioneering spirit, looks “outwards and upwards, to fulfilment through movement, advance, exploration and openness” (Corcoran, 1986: 62). The Irish bog is the “answering myth” to the frontier myth of the American consciousness (Heaney, 1980b: 55). More than once I imagined myself – one of the thousands of offerings placed in the bog, with its perfect liminality: neither fully water, nor fully earth – but a transition point, a threshold. The funny thing is….. I was. As I drove back home Sunday, on a bleak stretch with rain lashing and wind howling: thump, thump, thump. Very good, but as an Englishman we think bogs are just part of Ireland, Like Cactus is America and Forest is Amazon. Beautiful post. Peat bogs hold a certain allure. I grew up in Southeastern Massachusetts, where we have cranberry bogs, which are a completely different type of bog. Annual flooding for the cranberry harvest happens, so they’re not quite so squishy – rather more pondish. Thank you, Niklas. I have never seen a cranberry bog. Can you swim and play in them? Something about swimming in little red floating balls sounds delicious. I am an Anderson Faery (Feri) Initiate, animist and seeker. I hail from Texas, but have lived many places–from the Rocky Mountains to the soft hills of Ireland. My passions are megaliths, folklore, sociology, and generally sauntering outdoors, especially in the rain.